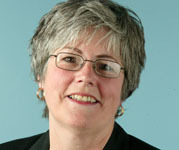 Janice Kennedy retired from full-time journalism at The Ottawa Citizen in January 2008, but still writes columns. A native Montrealer, she moved to Ottawa in 1990. In an earlier incarnation she taught high school English for 18 years. Like other boomer generation men (close enough for jazz at any rate), I sometimes think it has become a women’s world nowadays. And I’m not entirely certain that’s an altogether good thing. Two different newspaper columns by two Central Canadian women, published yesterday and today (tomorrow of course must for the time being remain unknown), have nonetheless captured certain key feelings of mine about what I still seriously enough think of as My Country Right or Left — with apologies to George Orwell from another country across the sea. 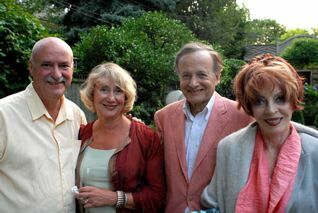 Author and columnist Margaret Wente with husband Ian McCleod (left) and Nobel Prize winner John Polanyi with wife, artist Brenda Bury (right), at a Rosedale garden party book launch in Toronto, September 2007. 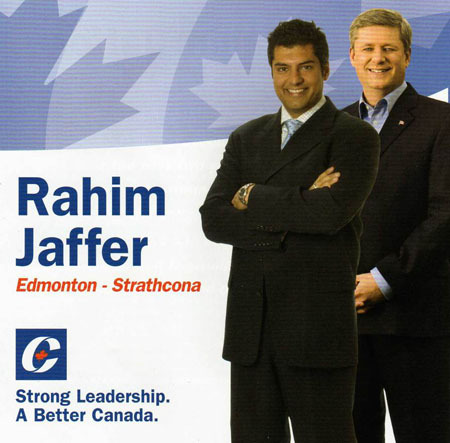 In another earlier incarnation Rahim Jaffer was a Conservative MP for Edmonton-Stratchcona in Alberta. If I have to choose between these two ladies’ choices (or perhaps even especially if I don’t), I have no doubt at all that I am on the side of Ms. Kennedy. My own instinct too is that Ms. Wente may be right about the majority of Canadians she meets at the Toronto social events she frequents. But the majority of Canadians from coast to coast to coast, I think it’s at least just as plausible to guess, also have some raw, intuitive sympathy with Ms. Kennedy. 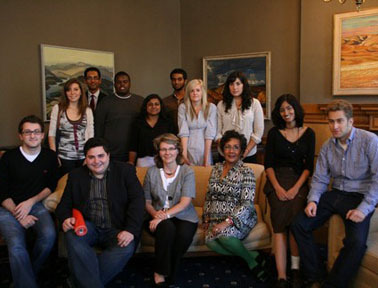 Liberal MP for Vancouver Centre, Hedy Fry (front row, third from right), with a group of University of Toronto Liberals, September 2009.